PC, Mobile, Nintendo Switch, or Console: Which Version of Minecraft Is the Best? The launch of the Nintendo Switch is, in many ways, the opposite of the Wii U's launch. Nintendo poured a lot of money and effort into marketing the Switch, it hit the shelves with a critically acclaimed must-have game from a beloved property, and the system boasts a simple but extremely practical gimmick (an easy switch between TV play and portable play). 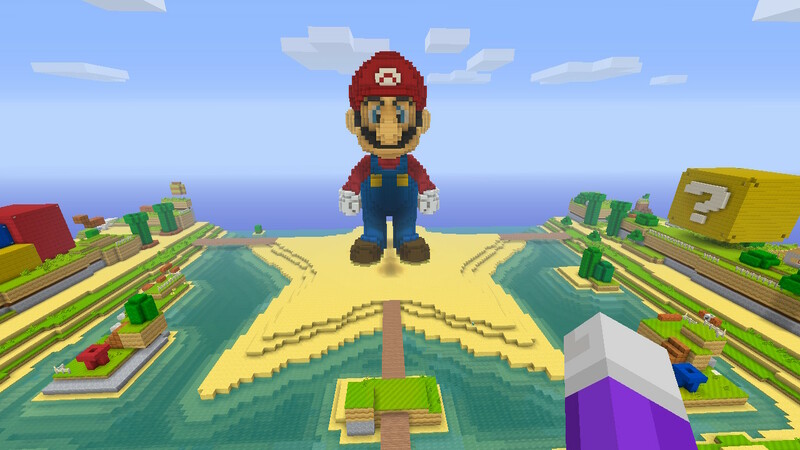 Nintendo recently pulled another smart move: It made dang sure the Switch received a port of Minecraft ASAP – pre-loaded with the exclusive Super Mario Mash-Up Pack, no less. Minecraft still commands kids' attention, to say nothing of their pocket money (or their parents' money). Like Pokémon, count on it being around for the long haul. Nintendo's rush to bring Minecraft to the Switch demonstrates the company can learn from its mistakes. 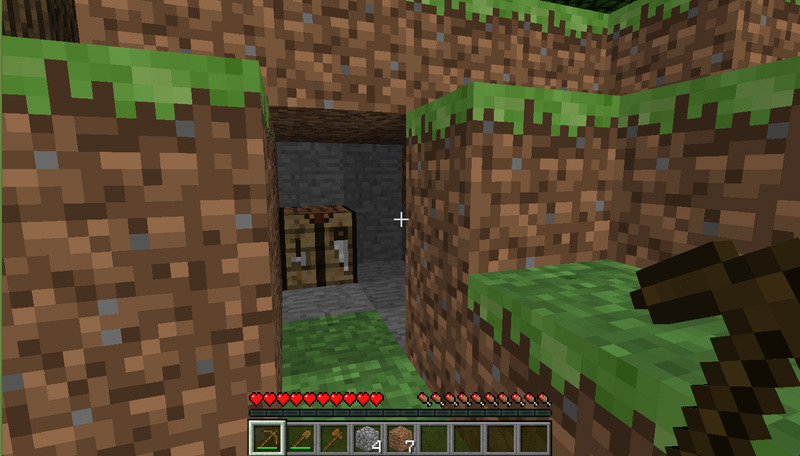 The company pooh-poohed Minecraft until the tail-end of 2015, when the Wii U edition of Minecraft landed on the troubled system and instantly became one of its top-selling titles, especially in Japan. Minecraft on the Nintendo Switch can only help bolster the system's sales in a big way, even though its numbers are already kind of bananas. Like USgamer's own Mike Williams, I'm a bit of a Minecraft fan. I'm not as rabid over Mojang's boxy world as the average ten-year-old, but I can easily get lost in hours of mining, farming, and adventuring. Minecraft on the Switch is a big deal for me, because I'm ever-curious about which version of the game can offer me the best experience. Mike's review of Minecraft: Switch Edition breaks down the differences between the PC version of the game, the portable versions of the game (i.e. the iOS and Android version), the console versions, and the Nintendo Switch version. Here, I list my own quick breakdowns of each Minecraft format (excluding the Wii U and the Vita, because both are dead in the water). I also pick my favorite, and offer up my reason for the choice. Hopefully this guide will help you pick the version that's right for you, too! PICTURED: Fresh, unspoiled land begging for a destructive hand. By far the most robust version of Minecraft. It's been around forever, and its online community is huge. It runs on pretty much any PC (put that 486 away, you know what I mean). It supports tons of mods and add-on features. Can't beat a keyboard and a mouse control setup, though I suppose it depends on whom you ask. Knock-knock-knockin' on the dugout door. It's the most popular version of Minecraft, which means Mojang is always on top of bug fixes and updates. It's as portable as Minecraft gets. 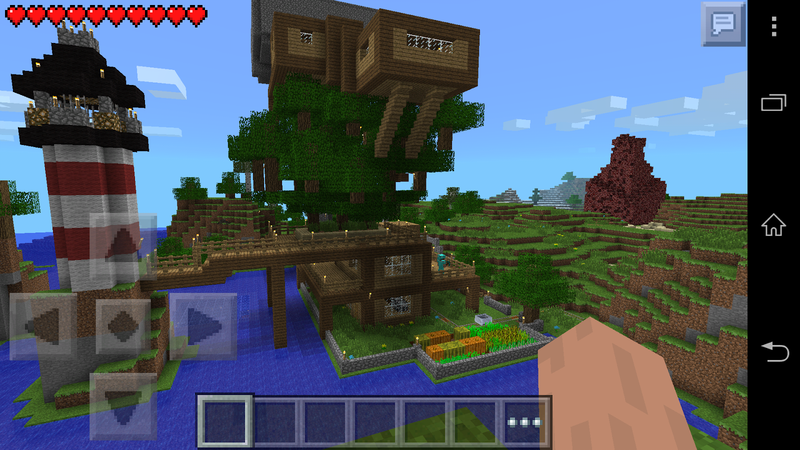 Wherever your phone or tablet exists, there's Minecraft. It supports mods, though installing them can be tricky if you don't know what you're doing (especially on iOS). There are online multiplayer options. It's cheap ($6.99 USD, and often on sale)! Its touch-based controls are clumsy compared to other options. Performance varies depending on your device, especially if you're using an Android device. 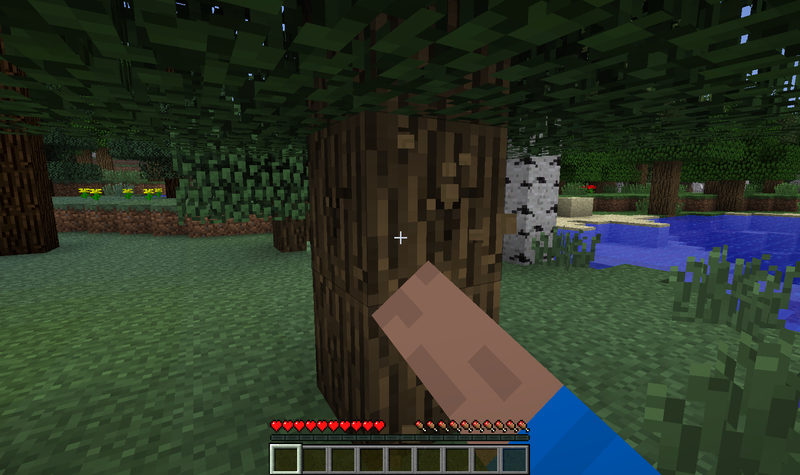 Every edition of Minecraft is the “Punch Trees” edition. World size is finite, but you can choose between three pre-set sizes. This can help keep you from getting lost. Local co-op play for up to four players (split screen). Uses a controller instead of a mouse and keyboard. Not the worst thing if you're a console gamer, but people used to PC game controls might have a hard time. Mod support is spotty at best. It's possible on the Xbox One if you employ some wizardry via Windows 10, but not really possible on the PlayStation 4. Comes pre-loaded with the Super Mario Mash-Up Pack. Lets you select items in your inventory with the touch screen if you're playing in handheld mode (no drag-and-drop, though). Using controllers in handheld mode keeps your fingers off the screen and gives you a better range of vision. Switch between portable and TV mode instantly. Game looks great in both modes, though there is a bit of pop-in if you fly up high. Locked into a “Medium” game world size (3072 x 3072 blocks). Local players each require their own set of Joy-Cons or a Pro Controller; no single Joy-Con support. Costs more than other console editions of Minecraft ($29.99 USD vs $19.99 USD). So which is the best version of Minecraft? For the complete experience – easily accessible mods, frequent updates, well-rounded control options, and a robust online community – PC is your best bet. The Nintendo Switch edition of Minecraft comes in at a close second. I'll echo Mike in calling it the best portable version of Minecraft, though there are a couple of caveats. For one thing, local split-screen Minecraft is a lot of fun, but the Switch version's inability to support individual Joy-Cons is disappointing. For another thing, the Switch version's flaccid online multiplayer capabilities are a bummer. That could change in the future, but at the time of this writing, we don't know if or when it'll happen. That said, I value Minecraft more as a relaxing experience rather than a communicative one. And there's nothing more relaxing than playing Minecraft wherever you like with a solid control set-up that combines a touch screen with traditional controllers. If you're part of a household that has a mix of old and young Minecraft fans, Minecraft for the Switch is also a safe purchase. Your family will have a blast playing together locally, and the fun can go portable in an instant if someone needs the TV. Just make sure you have an extra set of Joy-Cons on-hand, and / or a Pro Controller. If, however, you have a kid who wants to play Minecraft because all his friends are playing it online, and if you're not especially interested in joining in, go ahead and nab the PC version.